Mahjongg dimensions challenge you again. The game rule remains the same, but now you will face new levels and new difficulties. See if you are ready for them. 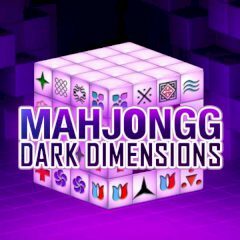 Want to play another Mahjongg game? Have you completed all previous games? This one will challenge you again. The game rules remained the same, but you will have more difficult levels. Rotate the structure and take your time to choose a pair for every block. The time is ticking so hurry up and make it quick!